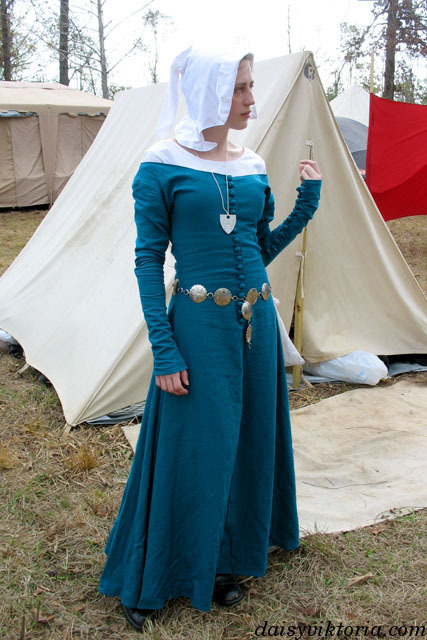 This is a cotehardie, a style popular in 14th century France. 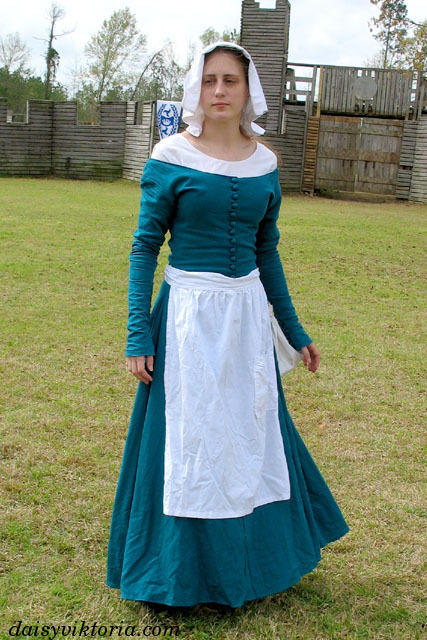 This is a fitted dress that buttons up the front with gores in the skirt, and it is worn over a white under dress. 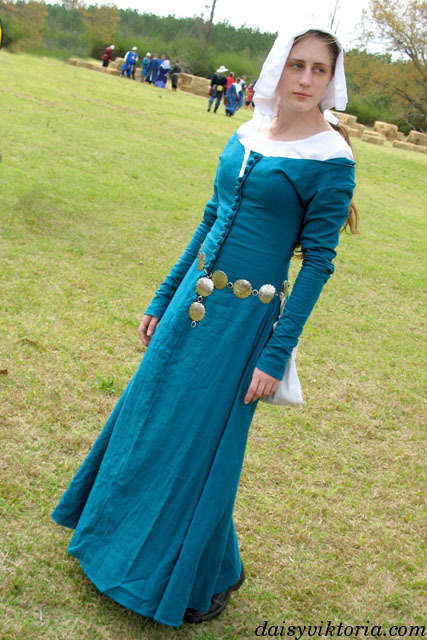 The buttons on the dress were hand-made. 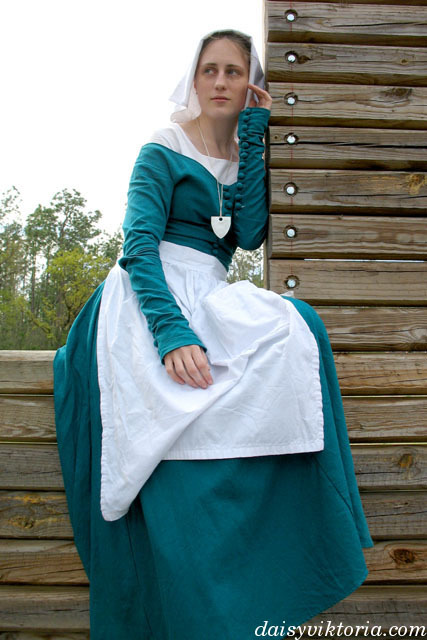 It is worn with a white linen hood and also an apron in some images.